Samsung Galaxy S7 is one of the most sold smartphone in the market right now. Amazon, eBay and other online ecommerce websites confirmed it is one of the most favorite smartphone on their respective websites. With 32 GB storage space and 4 GB RAM, the phone literally gives you an opportunity to fill it with every important data, pictures, music, videos on it without any issue. But with time, everyone wishes to upgrade their phone or switch to different brands to experience new staff. So, if you too have decided to change your phone and want to sell your Samsung Galaxy S7 then it is fine.When you are selling it, you will have to make sure that you don't hand out those private and personal information to some stranger. In this tutorial, we will be learning how to delete all data from Samsung Galaxy S7 permanently and make it fresh as new. We will be discussing two methods in this short guide to learn to erase all content from your smartphone. But before you proceed with the following methods, it is recommended to create a full backup of your phone and keep it to a safe place which you can use to restore later if required. 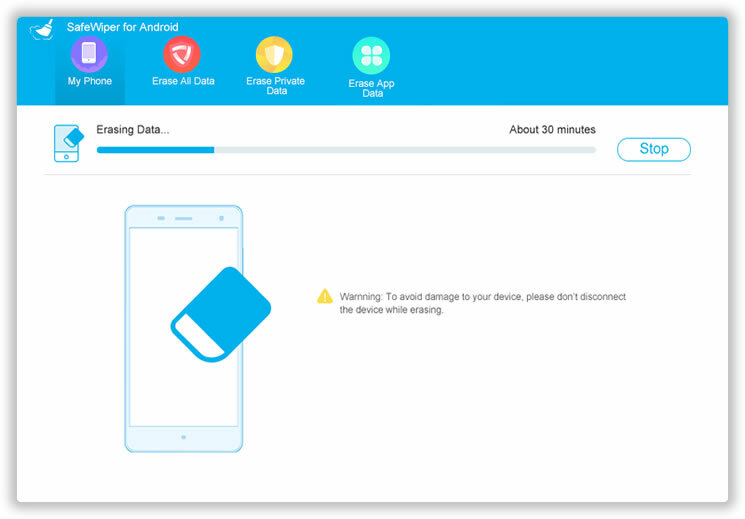 Once, you apply these steps, you will be responsible for any kind of data loss, so make sure to keep a backup of your phone before deleting anything. Factory resetting your smartphone will erase all data on the phone and will make it fresh as new. 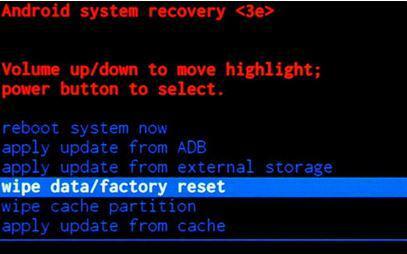 Before factory reset, please backup your phone first. To factory reset your Samsung Galaxy S7, follow these steps. Step 1: Power off your phone. Step 2: Turn on the phone by pressing Power + Home + Volume up button simultaneously. This will let you enter into the recovery mode of the phone. Step 3: Release the keys as soon as you see the Samsung logo button. Step 4: You will be able to see four options here. 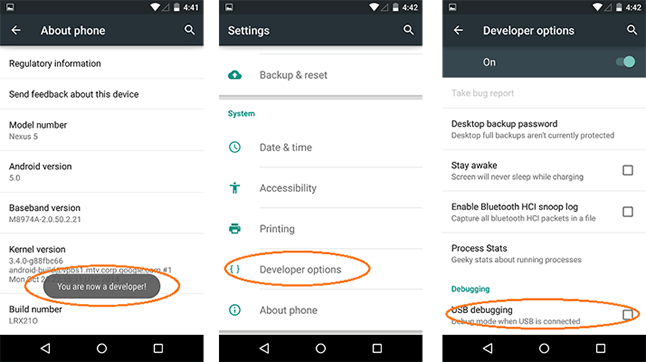 Use volume up and down to navigate through those options and choose "wipe data/factory reset". Step 5: That's it. Wait till the operation is finished successfully. After that turn on your phone normally and it should be done. Now, this will clear your entire phone and you will see the phone fresh as new. But there's a drawback to factory reset. If the buyer has access to data recovery software then all of your information can restored after factory reset. This is a temporary deletion. Below is a proof to see the deleted files are still able to be recovered. If you want to permanently delete everything then the method mentioned in this part is the right way to protect your private data. 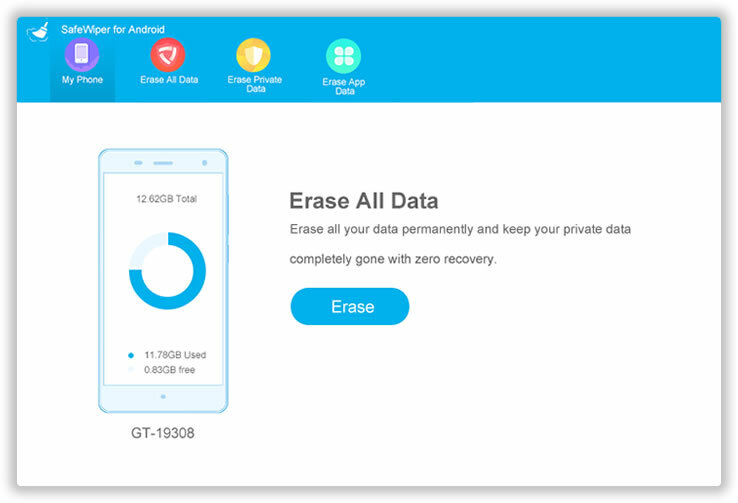 Android Data Eraser is a well-known desktop program that helps to securely erase all content from Samsung Galaxy phone without leaving any trace behind. If you use this software to delete your phones data then it will be permanent and the process cannot be reversed. Not only it works with Samsung Galaxy phones but also it works with other Android platform phones. In this guide, we will demonstrate how to delete content from your phone using this software so that you can understand this better. You need install Android Data Eraser on your computer to proceed with this method. So simply head on to the official website and download the software on your PC. The software is free to use. After that, you should install it on your system and launch the program for the first time. Now, connect your phone to PC using a USB data cable and let the software detect your phone automatically. Make sure to turn on USB debugging mode. 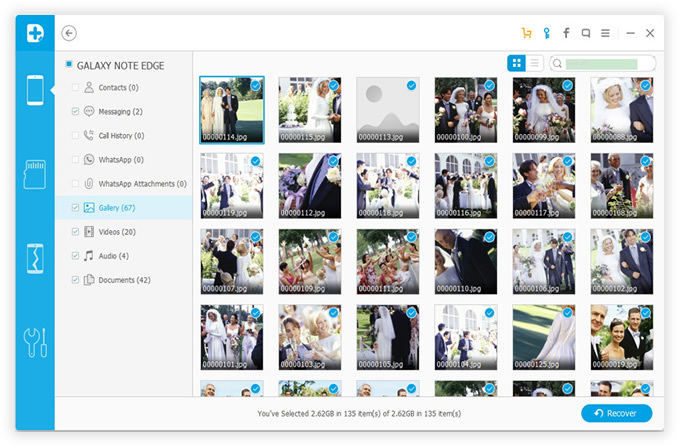 Click on "Erase All Data" and the deletion process will be started automatically. This process may take some time depending on how much data it is deleting. You can work in the background while this process is taking place. Now you have permanently deleted all data from your phone. So you can sell or give away your phone to anyone you want without worrying about information stolen or theft. Conclusion:If you have used the above methods correctly then you will be able to remove all content from the phone without any issue. If you are using the second method then remember, this method is permanent so make sure to take a full backup of your phone on your computer or cloud server before proceeding. The above tips are set for Android users. If you owned Android and iPhone at the same time, then Safewiper iOS Data Eraser is the app you should take a look for permanently erasing data on iPhone.